Christmas was a very busy time for these particular cyclopolitans. Pre-Christmas was the usual frenzy of Chrissy prep, but that was nothing to the post-Christmas activity. Boxing Day kicked off the big spend … purchasing the final items on our list: The camera, The phone, and The wardrobe. A couple of months ago, we did a bit of a scout around the apartment and came up with 6 cameras lurking in the dark recesses of various cupboards. They were a hotch potch of film cameras, a large digital SLR, a video camcorder, that was my entry into shooting and editing videos a couple of years ago, and a much used ‘happy snappy’. Prior to Christmas, these had been converted via Trademe into cash that was put aside for the purchase of the one camera to rule them all, the Fujifilm x20 (you can probably tell that I’ve just seen the latest Hobbit film). We have had our eye on this beauty for a few months now but of course being frugal little bunnies, we waited for the sales. 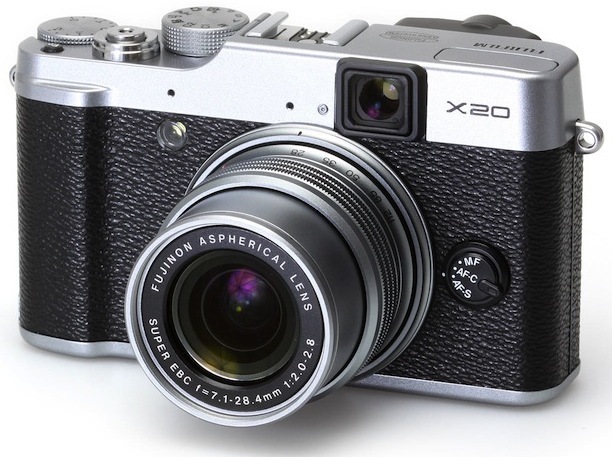 We went with the Fujifilm x20 because of its small size, good video and pictures quality, viewfinder (we’re a bit old fashioned like that) and external mic jack to allow for good sound quality on video. Plus, it looks really nice … a bit old-looking like ourselves! I’m really looking forward to putting all our new toys through their paces, so watch this space. We also purchased a smart phone for ‘comms’ on the trip. We both have work phones but these will need to go back from whence they came. We decided that one phone would be sufficient as we are avoiding duplication of function where possible in what we’re taking. This has confused and concerned Daughter No.1 and Daughter No.2. They are dubious whether life is possible without mobile phone attachment because they themselves become quite agitated and incapacitated when separated from their cellular devices. They are also very concerned that we will lose each other. I’ve tried to reassure them that during 24 years of marriage, with many of those being before mobiles were ubiquitous, I’ve never yet managed to lose the husband … even though I’ve tried on several occasions! It’s difficult to explain to a ‘cellular native’ just how one manages this, but it is indeed possible. We use the ancient arts of planning ahead, talking face-to-face and punctuality. Not forgetting that most of the time we will only be a few feet from each other. If all else fails, and we do actually mislay each other, we can use the tried and true technique that is a variation of ‘phone a friend’ – you simply phone their parents. This was in fact how the Husband found me about 25 years ago – he called my mum and asked if I was back from traveling … a week later I was, and the rest is history as they say. Anyway, the phone we went with was a Samsung S3 because the price was excellent for what it offered. The S4 is now available, which was probably the reason for the bargain price. The other job on the list was to outfit the Husband in new (and smaller) clothes for the trip. This was a mammoth task. It was a 7.5 hour marathon taking in every men’s clothing store in Newmarket. We took regular breaks to fortify ourselves with cups of tea, and eventually we came out the other side … slightly bloodied but triumphant! I won’t go into the details here but will save that for a ‘what’s in my duffle bag’ video perhaps. We also spent many a happy hour finding, loading and cataloging books for our Christmas present eReaders, and I must say I’m very impressed. They hold an amazing amount of books. They are also very pleasant to read and have useful little functions such as an integral dictionary. find useful apps for the phone and set them up – I’ll write up a list in my next post, if you’re interested? Take photos of ourselves for our house sitting profile – they must have been good as we’ve been contacted already about a gig near Paris and another in Denmark! Make a small but highly important ‘door-flap-holder-out-of-the-way’ device to fix an irritating problem with our tent. Having a floppy door flap can be a real frustration you know!